Charmed PR and Voodoo Vixen were so kind to send me a few items to style from their collection. 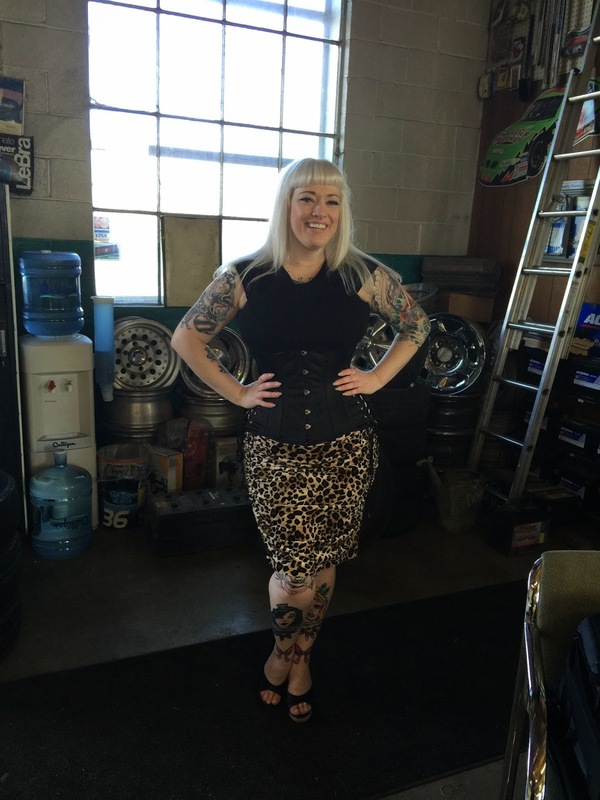 One of the items I selected was the Verity Leopard Skirt. It is a high waisted, velvet leopard print that is curve hugging, but slouchy at the same time. I know that sounds kind of like I don't know what I am talking about, but it is true. The fabric has give and stretch and is ruched where is counts. I chose to pair my skirt with a longline corset and a black crop top and a pair of bordello mules. This particular look was used in a shoot I just had, and I can't wait to see the results. Even though the skirt is velvet, it still translated to a trend in warmer temperatures. Because it was so nice, I opted to keep bare legs. I do, however, know that as fall returns to the midwest, this skirt will be a perfect fit with thick tights and a long sleeved cardigan. Be sure to check out all the new items Voodoo Vixen has to offer! Be on the look out for another style pick coming soon!